The truth is that people don’t think deeply, or care, about most brands. There are very few brands that people want to have a ‘relationship’ with. Researchers and marketers get paid to worry about this stuff. It’s easy to forget that other people have more important things to do. Tom Fishburne brilliantly satirises the baises of marketers and researchers in our favourite cartoon. And in his beginners guide to human insight John J Sills, describes how most customer insight makes the mistake of starting with ‘the thin end of the wedge’ (i.e. talking to customers about what brands produce rather than trying to understand what is really important to them). At house51 this is what we mean when we say ‘we are interested in people not consumers’. We believe that effective research depends on focusing on the thick end of the wedge. Since we set up 18 months ago, collaborations with a diverse range of clients have given us strong proof of concept: getting more people focused really makes a big difference. Researchers can start with re-examining the language that we use and moving away from our insistence on narrowly framing everyone as ‘consumers’. Our work with the New Citizenship Project shows that ‘citizens’ trust other people more than ‘consumers’ and are also more likely to take personal responsibility for their actions and co-operate with others. Showing a genuine interest in people’s lives and giving them scope for personal expression also makes a big difference. ‘People like me’ is a pretty standard brand metric. But how often does MR take the time to find out what it really means? In our work with ITV and other media clients we have evolved our implicit research approach to enable people to rate themselves on the same personality attributes that we use for brands and their competitors. This provides intrinsic motivation for participants and enables us to give them personally relevant feedback from the research they help to create. And, by measuring the ‘congruence’ of audience and brand personality, it places brand metrics in a new real world context and enhances our offer to our clients. At house51 many of our ideas are inspired by behavioural economics. It offers a powerful framework for delivering people focused, real world understanding. That’s why it has been embraced by forward thinking researchers and marketers and is rapidly entering the mainstream. But, unfortunately, the BE story that most researchers tell is simplistic and pejorative, focusing on people’s flaws, biases and so called ‘irrationality’. Presentations that depict people as Homer Simpson or tell our clients that all of their customers are liars (you know who you are!) really are a dead end. We believe researchers and marketers need to think differently about BE. We need to focus on the positives, not the negatives. There is no value in lamenting what ‘consumers’ don’t do and don’t say. MR needs to focus on helping our clients adapt to and enhance real people’s lives. Here, we take our lead from the OECD and the UK government who are pioneering the exploration of happiness (subjective wellbeing) as a more effective measure of progress than GDP. If happiness is becoming the ultimate KPI for leading global economies, then perhaps it’s about time leading brands adopted it too? Taking our inspiration from Paul Dolan’s Happiness by Design we have begun to build frameworks for our clients that evaluate brand performance in terms of their contribution to the pleasure and purpose of people’s lives. So far media brands appear to be taking the lead here. I have already referenced house51’s work with ITV and in parallel to our work, the guys at Join the Dots have been working with Magnetic on their Moments that Matter research which evaluates consumer magazines according to the pleasure and purpose framework. This is where the familiar heuristics and biases framework comes in. But, crucially, we believe that MR needs to understand people’s reliance on System 1, emotion etc. not as flawed decision making, but as highly adaptive and effective decision making. BE presents MR with a massive opportunity to generate far more comprehensive understanding of the psychology that drives people’s everyday behaviour. In recent work we’ve done in collaboration with academic researchers at City, University of London we took many of the most well-known experiments in behavioural economics out of the lab and applied them to a large representative sample of the UK population. Our initial focus was on busting some myths about the psychology behind the Brexit result. But this work also produced a unique profile of the diversity of ‘cognitive styles’ of real people. What it shows is that a binary framework that contrasts ‘emotion’ and ‘rationality’ simply isn’t sufficient. 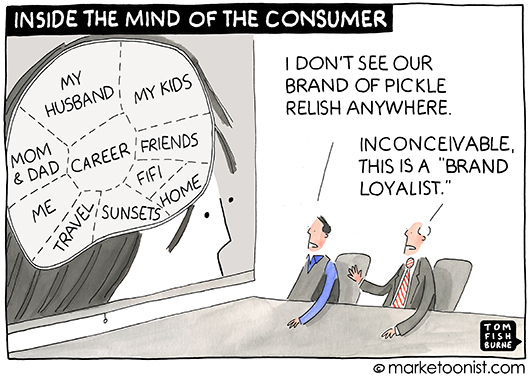 Each customer or audience segment has a distinctive cognitive style and this changes according to needs and context. By embracing deeper psychological and behavioural profiling we can help clients develop easier products and communication by adapting their activity more precisely to the way their customers, audiences and communications targets navigate the world around them. Mark Earls and others have done a great job of explaining the importance of herd behaviour. But the majority of market research still focuses on individual decision making. On the whole people want to be normal. Even innovators and pioneers have some reference group that they benchmark themselves against. So MR can provide clients with a more realistic view of their brand by understanding what people think other people think of it. That’s why, at house51, we often evaluate brands from multiple frames. 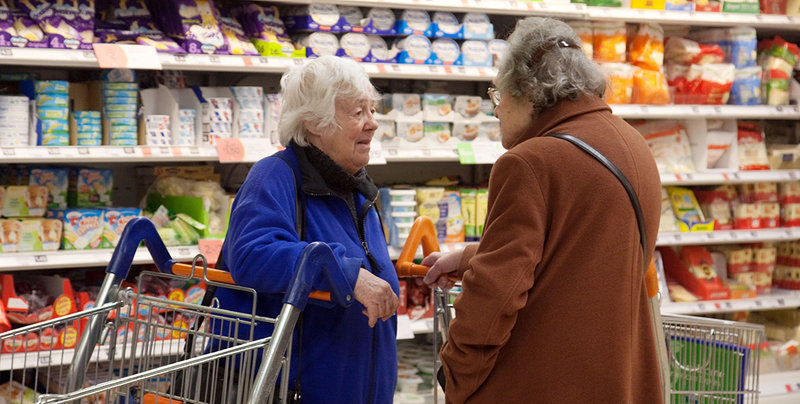 You find out what people really think of their supermarket by asking them what their friends and family think of it. Over the summer we applied the sample principle on a project aimed at improving the effectiveness of healthy eating campaigns. Making healthy food seem normal is more effective than communicating detailed health and nutritional benefits. Fair- people have an innate need for fair play, but what’s fair depends on context. There is a wealth of evidence that proves that homo economicus is a myth. People rarely act in a way that is consistent with the self-interested profit maximising predictions of standard economics. But behavioural economics also shows that what’s fair depends on context and what side of the deal you are on. Richard Thaler quotes a simple experiment that shows that 76% of MBA students think it is fair to raise the price of a snow shovel the day after a snow storm. That’s because they have been schooled as ‘econs’ in the classic principles of maximising utility and supply and demand. Out there in the real world only 18% of people think raising the price of the snow shovel is fair. Our work on Brexit shows that fairness is important to brexiters and remainers. But they may have different ideas of what fairness is partly because they are on different sides of the deal in the UK economy. Digital technology and the rise of customisation and dynamic pricing heightens the importance of fairness considerations for brands. Just because you have the technical ability to tailor pricing doesn’t make it a good idea. Just ask former Coca- Cola CEO Douglas Ivester. Thaler tells how Ivester’s defence of a new vending machine, that increased the price of Coca-Cola in warm weather, derailed his career at Coca-Cola. Thaler points out that things may have been different if Coke had emphasised that the price of the drinks went down in cold weather…. His advice to brands is ‘if you can’t be fair, seem fair’. MR has a key role to play in helping brands understand the nuances of fairness and context and how to frame their offer in a way that works in the real world rather than the boardroom. So, happy, easy, normal and fair; that’s the 4 principles that keep us focused on the stuff that matters. And above all happiness is paramount- essentially everything else we can measure is an intermediate metric.